Day 4 of my trip to Disneyland Resort, Anaheim. 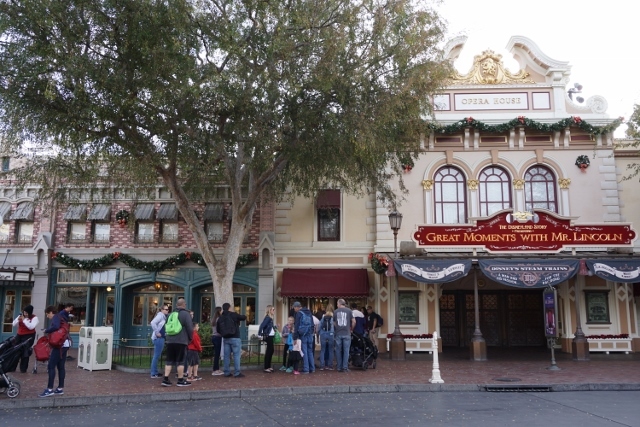 Because I had Magic Morning, early admission option to Disneyland Park, I woke up early. 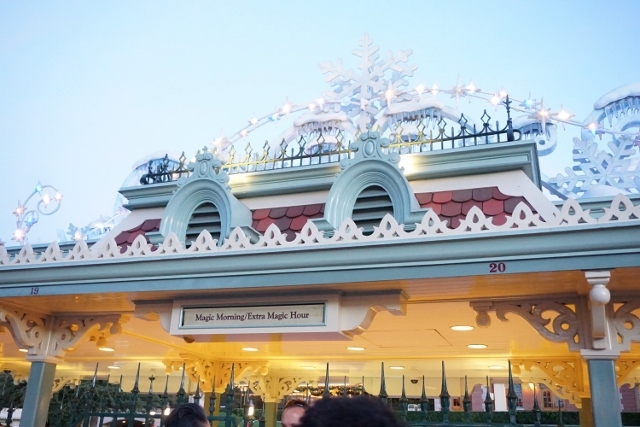 Magic Morning option can be granted to guests who have valid 3day or more day ticket. 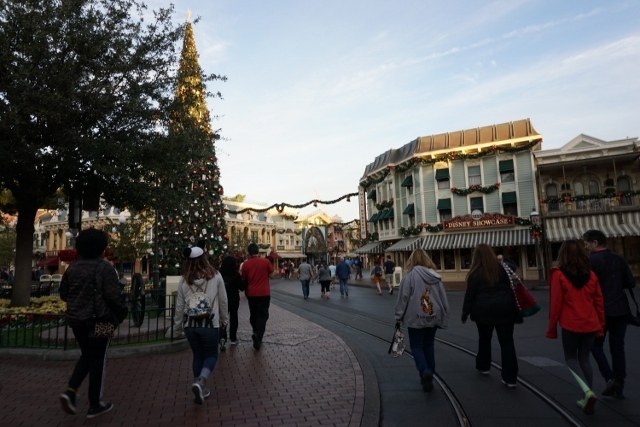 There is similar option "Extra Magic Hour" for Disneyland Resort Hotel guests, and it is valid for both Disneyland Park and Disney California Adventure Park. As for schedule, please see Park Hours on official web site. Magic Morning started from 7:00am at this day. Y-chan couldn't wake up early. I came to Park gate alone at 6:30am. But... it was too early. There were a few people waiting. 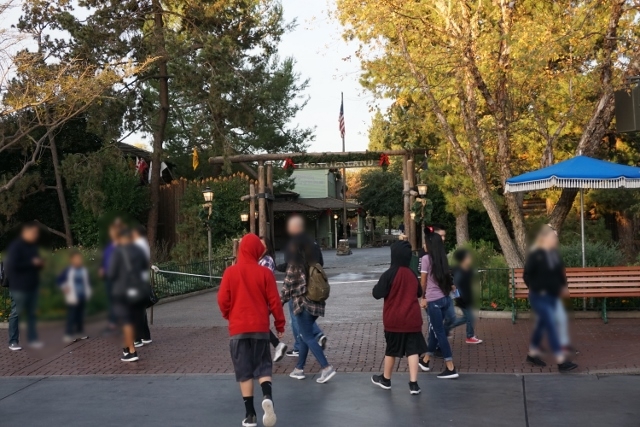 At 7:00am, the Park opened with count down. 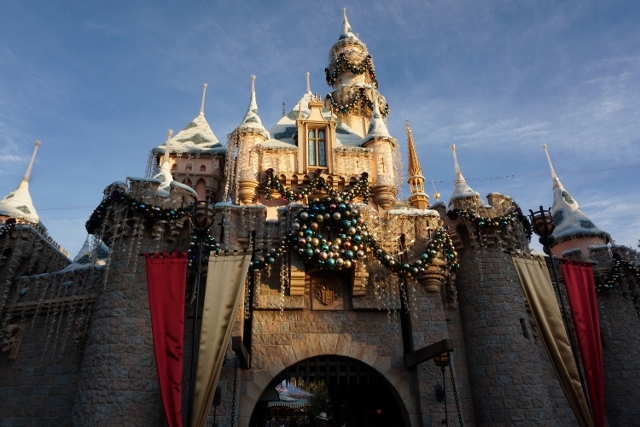 During Magic Morning, Only selected attractions at Fantasyland and Tomorrowland could be used. The other areas were blocked by ropes. 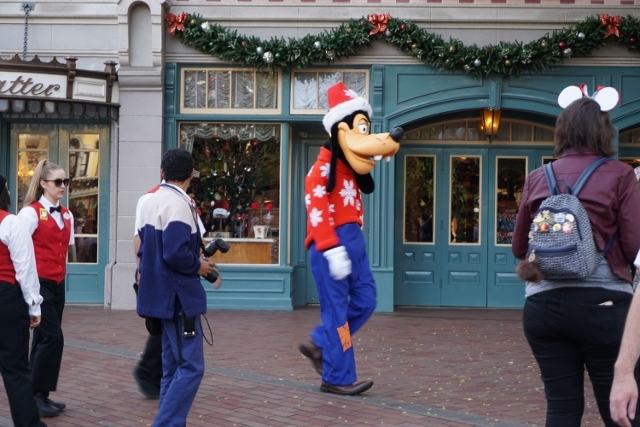 There were PhotoPass cameramen, I had pictures of castle while a few guests were there. 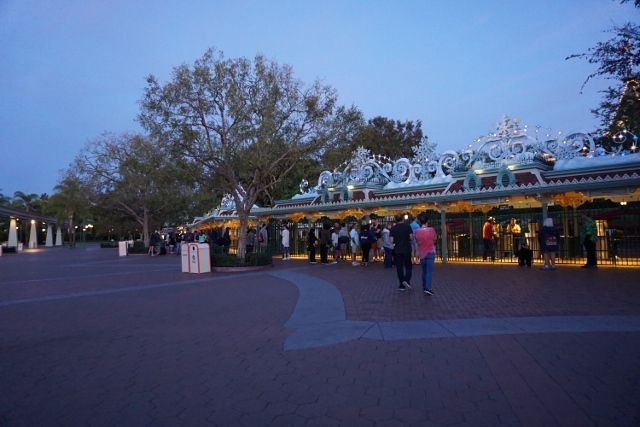 While early admission, Peter Pan's Flight was crowded. 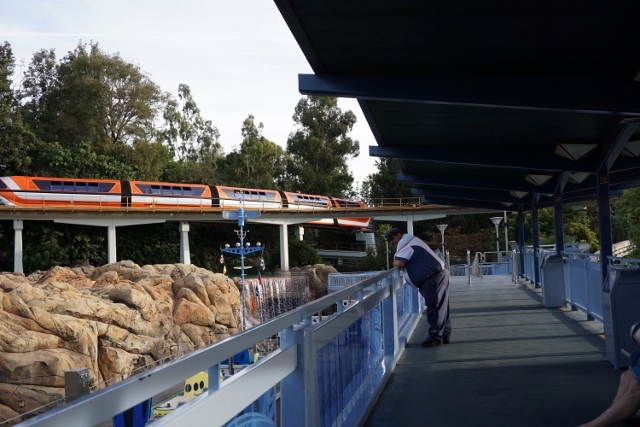 I think as it is not FastPass attraction, guests prioritize it. 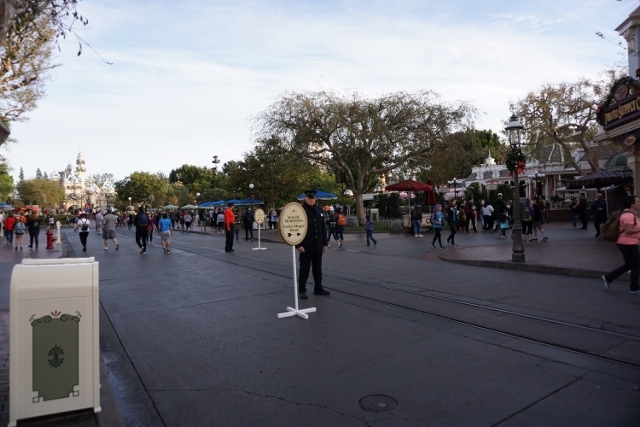 After the time guests without early admission could entry, there were signs for Extra Magic Hour and Magic Morning guests. 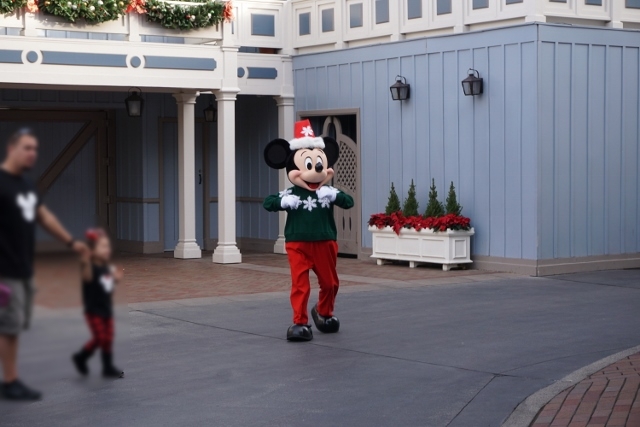 When I return to the entrance, Goofy walked around Christmas tree and greeted. 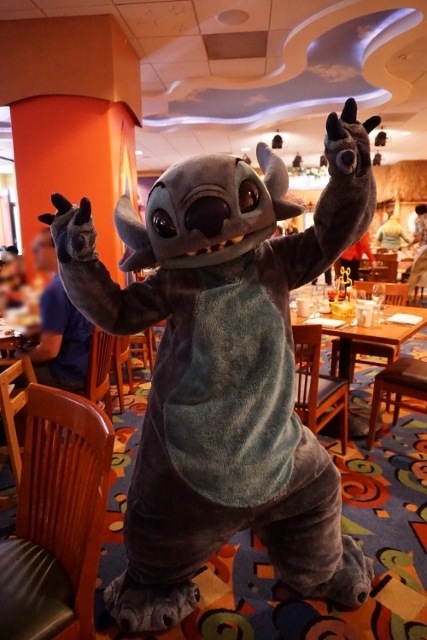 Other characters appeared around 7:50am. Personally speaking, I don't think I should rush to come Park. 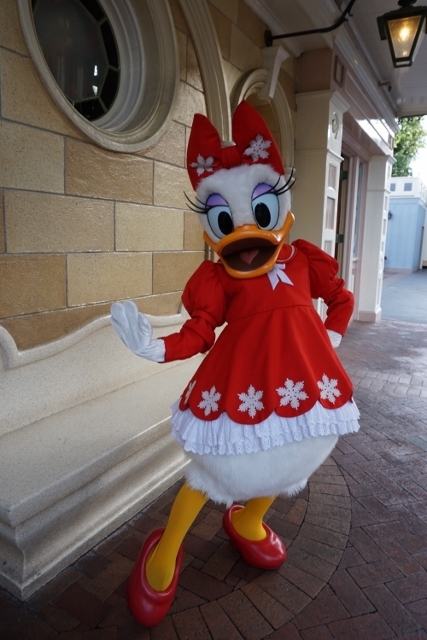 Characters came from the door near by the end of Parade route, and had greeting sessions in front of Disney Gallery. 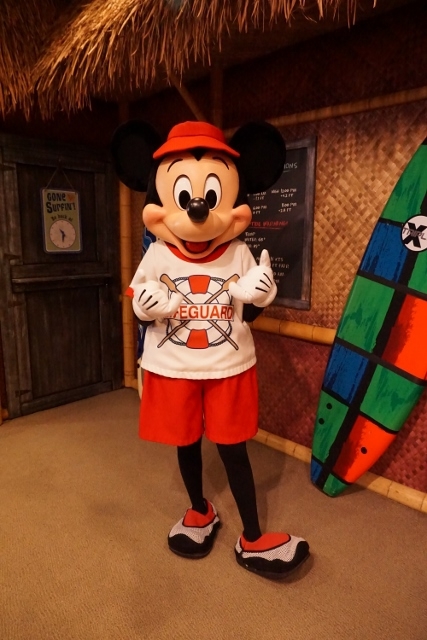 When I asked cast members who had sign of Mickey's hand on their vest, they could answer when characters came. 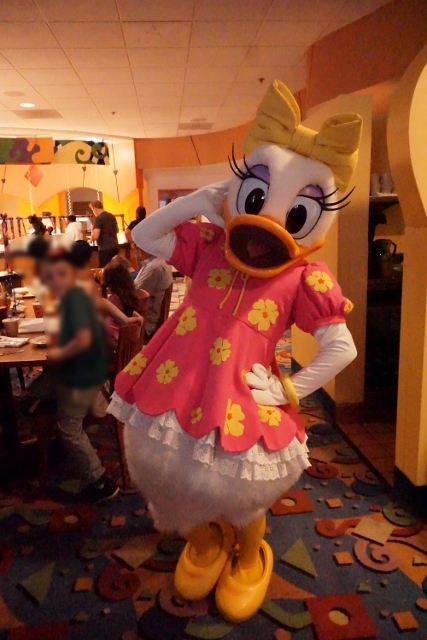 I could meet Pluto, Daisy Duck and Mickey Mouse until around 8:20am. It was time for moving for me. 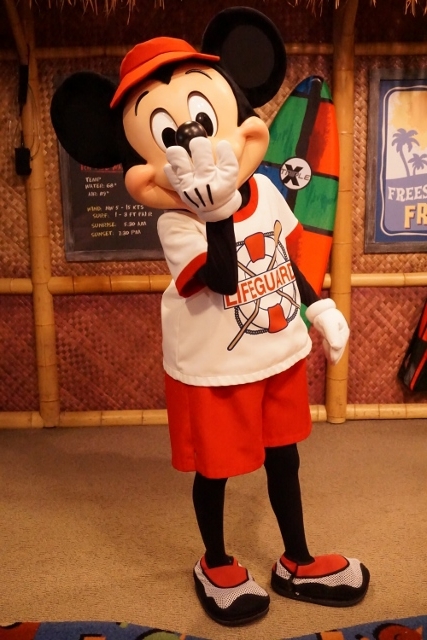 I had reservation at Disney's PCH Grill on 9:00am and will meet Y-chan at the restaurant. 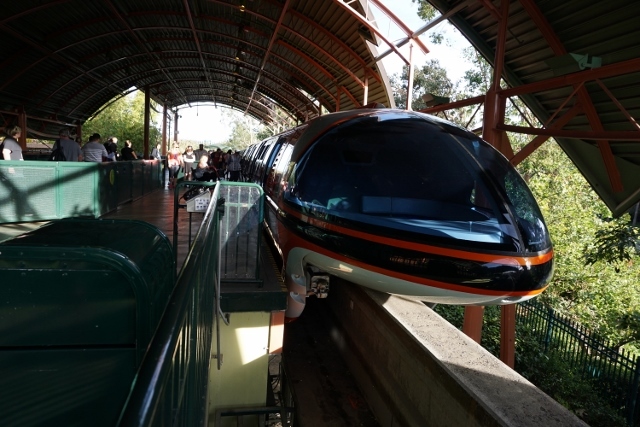 I took Monorail from Tomorrowland and went to Downtown Disney District. 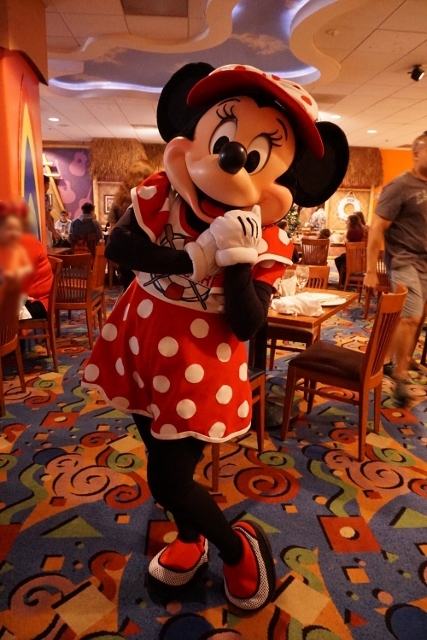 Then I moved to Disney's Paradise Pier Hotel by walk. 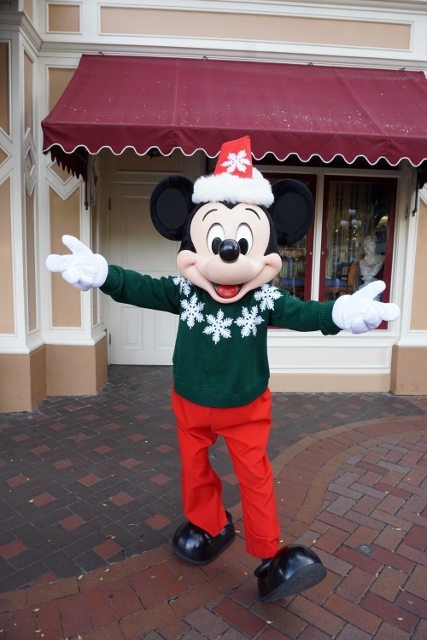 At first, we took pictures with Mickey Mouse at the entrance. 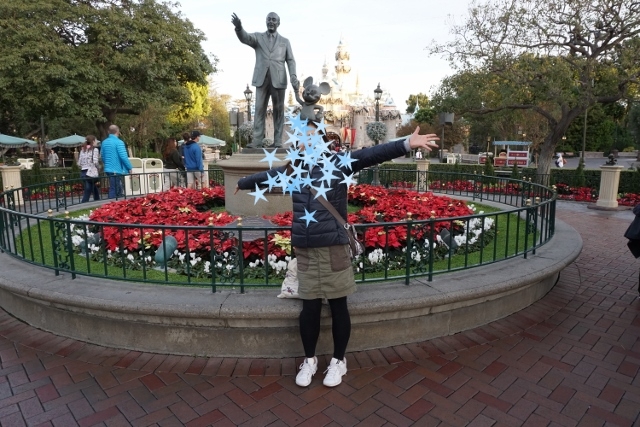 There was PhotoPass cameraman. 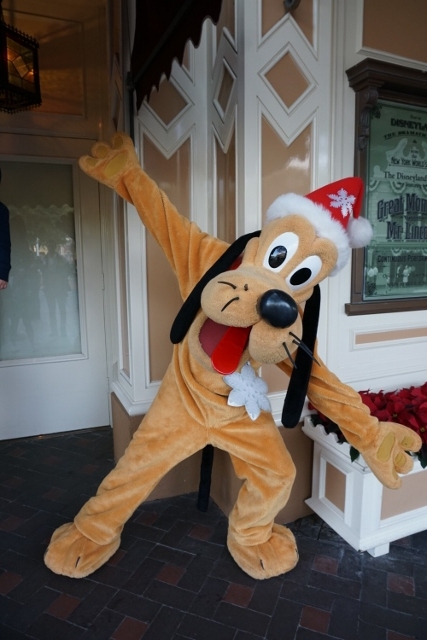 We could download photos by MasPass as well as in the parks. Minnie Mouse, Daisy Duck and Stich came to our table. The meal was buffet of American breakfast. I had Omelet, Mickey shape waffle, mini bagel and smoked sermon, and roasted potato. No salads there. I had also fruits for vitamin. Once every 30min, mini show performed. 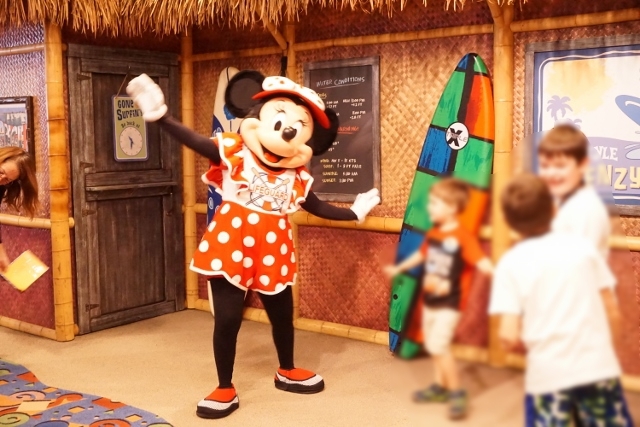 Characters and children were dancing along with surf music such as "Surfin' USA". 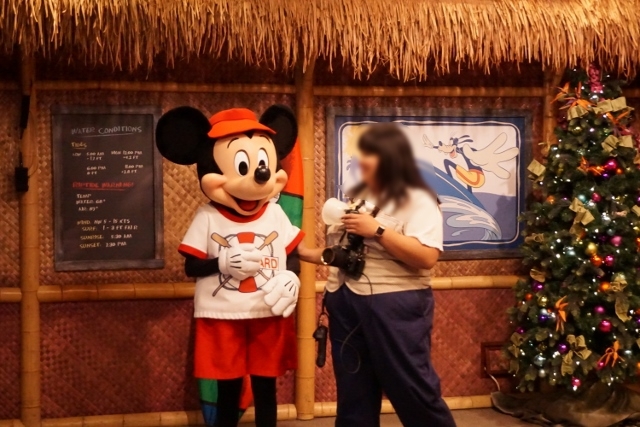 Past 10:00am, it became relaxed atmosphere in the restaurant, and I saw Mickey had conversation with a PhotoPass cameraman. 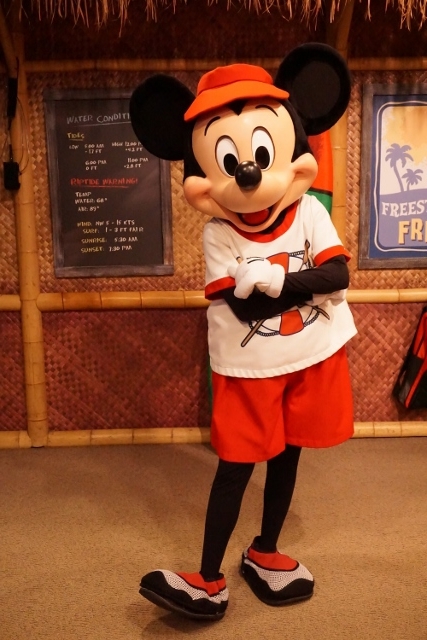 Because Mickey Mouse looked like he had nothing to do, I asked photo-shooting again. Our total was 96.65 USD, including gratuity. We were full enough. Let go back to the Park.